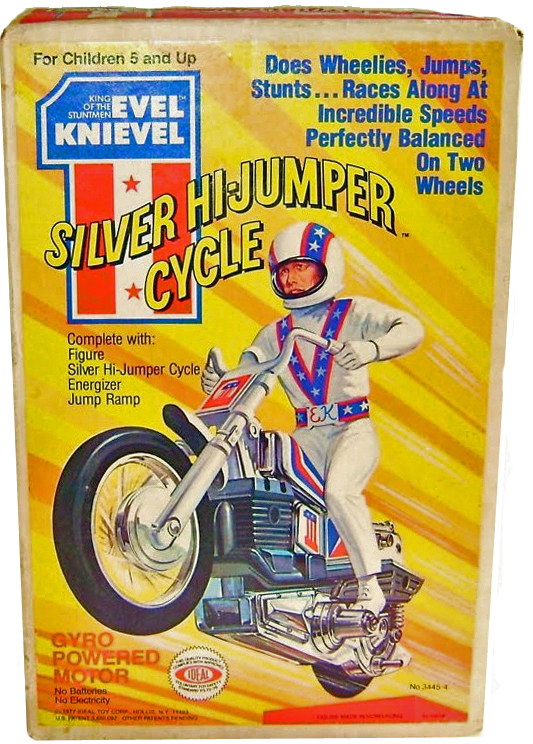 The 1977 Evel Knievel Silver High Jumper was one of the last releases in the EK toy line. 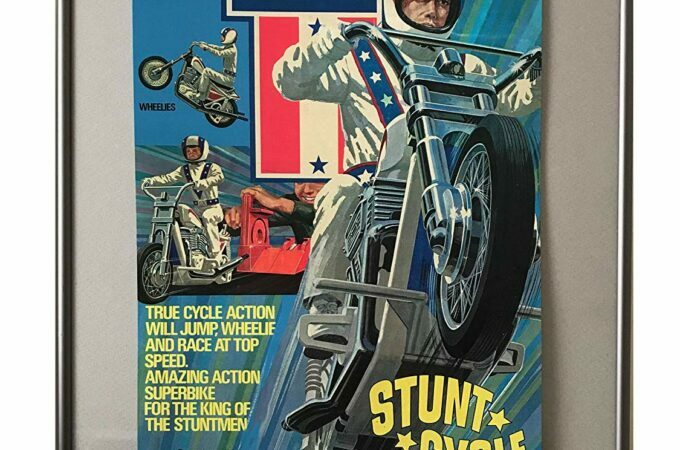 Ideal used the mold of the ill selling Trail Bike and created a chromed-up version and the Silver High Jumper was born. 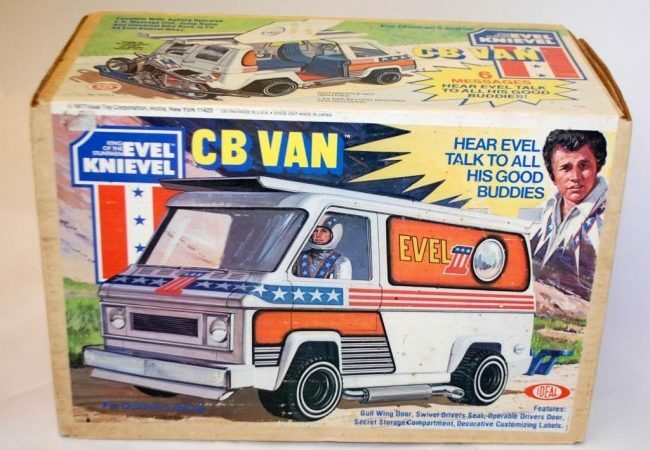 The bright yellow box contained a jump Ramp, Energizer, figure, decals and instruction book. 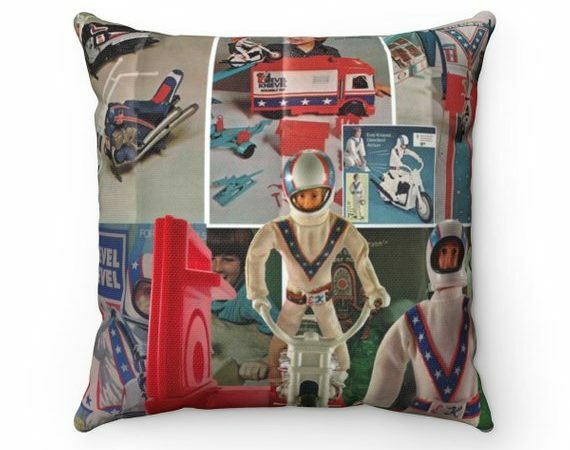 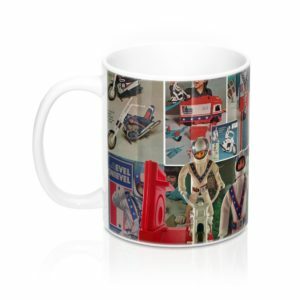 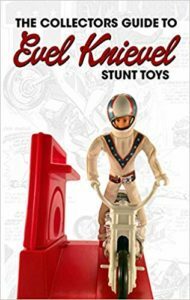 Only 1,700 sets were made, making it the one of the rarest Evel Knievel toys circulating around the world today. 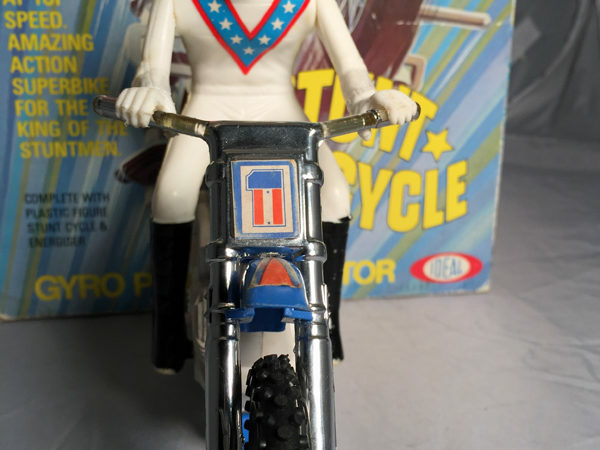 This set is extremely hard to come by and values range between $1000 to over $3400 depending on condition.